Daughter of the late Janis and Ieva Ruza Sturiska. 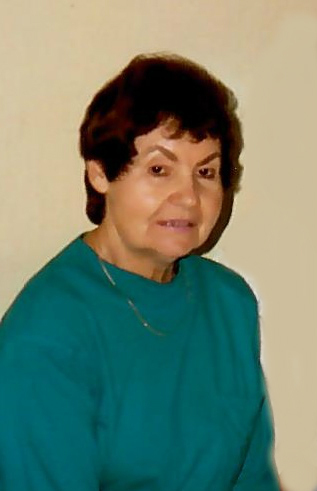 Beloved sister of Maria (late Julian) Kudins. Dear Aunt of Elizabeth (Sidney) Beard, Eleanor (Gerry) Kapsiak, Victoria (James) Baldy; Great Aunt of Edward (Jessica), Julian Beard, Nina, Luke, Mark Baldy. Friends may call at D. LAWRENCE GINNANE FUNERAL HOME 3215 Delaware Avenue Kenmore, NY Tuesday (March 9th) 4:00 - 7:00 PM. All are invited to a Mass of Christian Burial at St. Louis RC Church 780 Main St. (at Edward St) Buffalo, NY Wednesday at 9:30 AM. Please meet at church. Interment Mt. Calvary Cemetery.